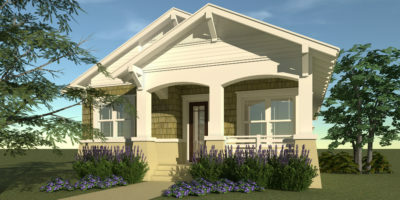 Wagoner provides all the comforts of a larger home in a small, comfortable space. 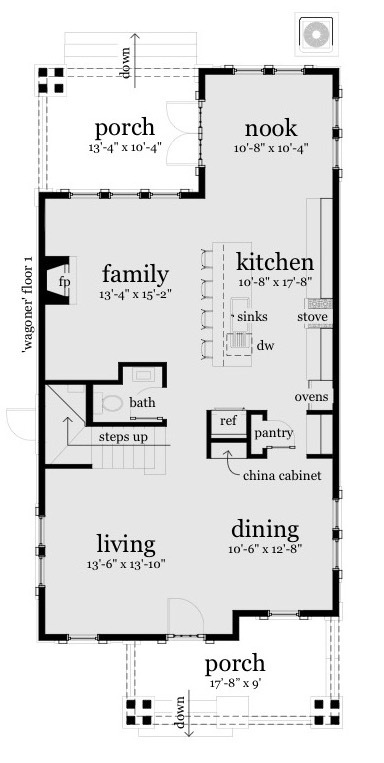 The downstairs is an open plan with separate living, dining, family and breakfast nook. The dining has a built-in china display cabinet. 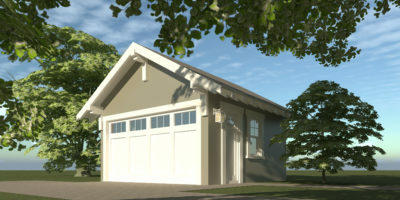 The family room and kitchen are designed for entertaining, and include a gas fireplace. 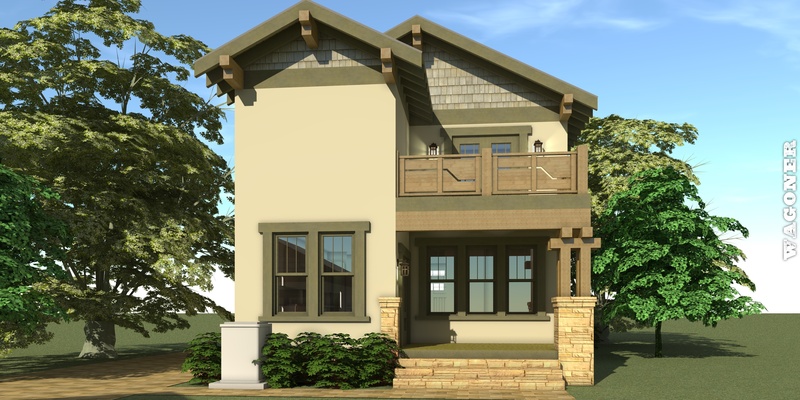 Front and back porches provide space for outdoor living. 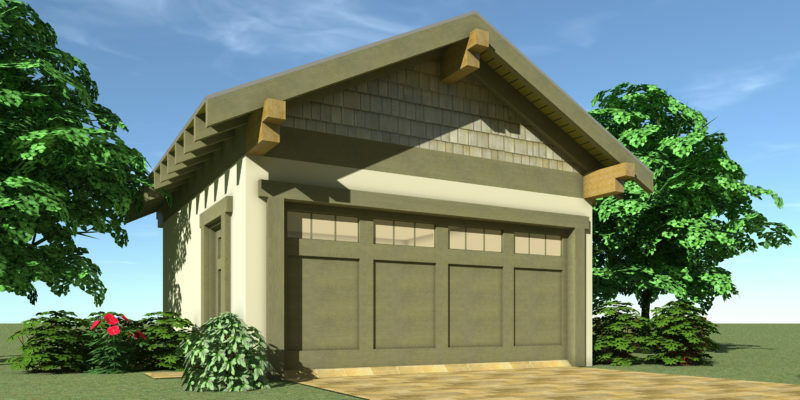 The foundation is designed with a concrete stemwall and wood floor system over a crawlspace. The second floor is pre-engineered wood trusses. The roof is shingles over a plywood deck, and pre-engineered wood trusses at a 6:12 pitch. The exterior is finished with stucco and cedar shingles. 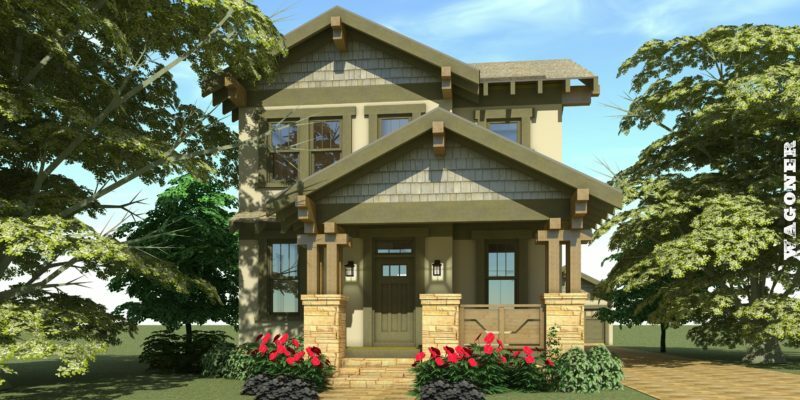 Wagoner has a strong Art & Crafts exterior with heavy sawn woodwork and stone detailing.